Coldplay is working on setting up another concert in Los Angeles, after the group’s Friday night show was cut short in the wake of the Paris terrorist attacks. The show, at the Belasco Theater in downtown L.A., was scheduled to stream live on Jay Z’s Tidal, however, the livestream was scuttled and the group performed an abbreviated set. To accommodate those who were already at the venue or on their way downtown, Coldplay did a short acoustic set. After holding a moment of silence and performing a cover of John Lennon’s “Imagine” in tribute to those who lost their lives in Paris, the group played a few of their hits before exiting the stage. 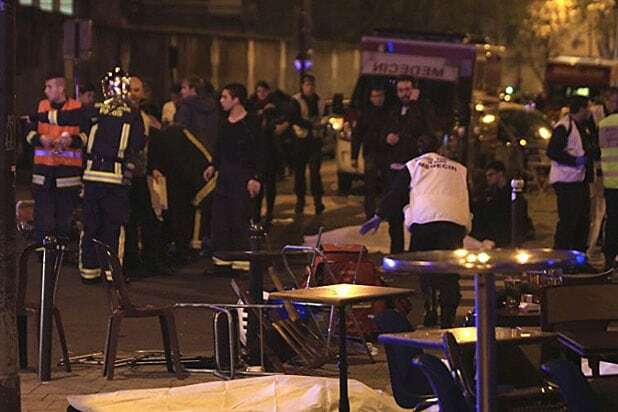 The violence in Paris killed 129 and injured 352 others. French officials said Sunday that three jihadist cells carried out the coordinated attacks at bars, a soccer stadium and the Bataclan Theatre, where Southern California’s Eagles of Death Metal were set to perform. Nick Alexander, the group’s merchandise manager, was among those killed at the Bataclan. Several other groups have also changed their schedules following the attacks. The Foo Fighters canceled the remaining dates of their Sonic Highways World tour, including a concert in Paris. Meanwhile, U2 canceled two sold-out shows in Paris scheduled for Saturday, Nov. 14 and Sunday, Nov. 15. HBO’s broadcast of the Saturday show was also scrapped. 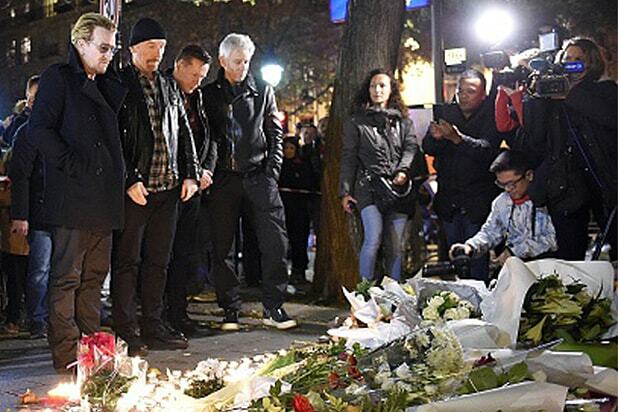 Bono, The Edge, Adam Clayton and Larry Mullen Jr. visited a makeshift memorial on Saturday near the Bataclan. The group members also placed flowers on a sidewalk near the venue and paid respects to the victims. 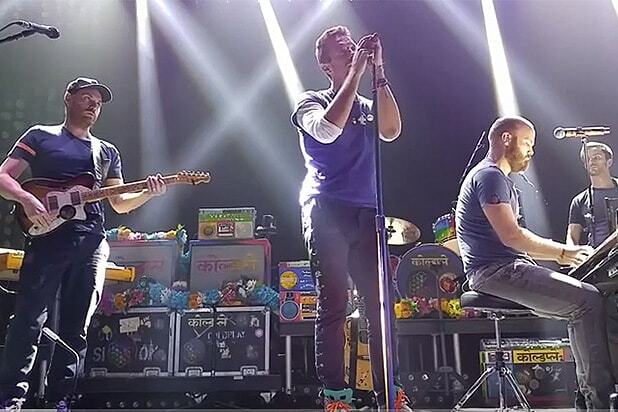 Watch the video of Coldplay performing “Imagine” below.